Students raising their hands during class? I used to think that was a good thing . . . for the first week of teaching. Since then I’ve discovered that what they say will be as relevant as dandruff shampoo is to Medusa. We may be in the middle of comparing propaganda during WWII to modern day examples, or breaking down Katharine’s speech at the end of “Taming of the Shrew” when the hand shoots into the air as if some amazing insight has just hit a teenager. The kid just finished chugging his Dunkin coffee. The last thing he needs is more caffeine. And if he falls asleep in class without his Mt. Dew, is that really such a bad thing? Occasionally a student will have something interesting to share. Otherwise . . . The hope is that their minds are on the topics, but . . .
That screeching noise you hear? My trains of thought, derailing a dozen times a day. Even the sharper kids—ones who usually have something great to write or say—may surprise me with A Random Comment That Initiates Cringing (ARCTIC; these comments leave me cold). Perhaps I’m Circe the witch they’re trying to get away from. Train derailment, crash, explosion . . . I grip my whiteboard marker, the only thing that brings me back to focus as I glare at the student who looks at me oblivious that they’ve just tossed my entire buildup–now a fireball–into a gorge. 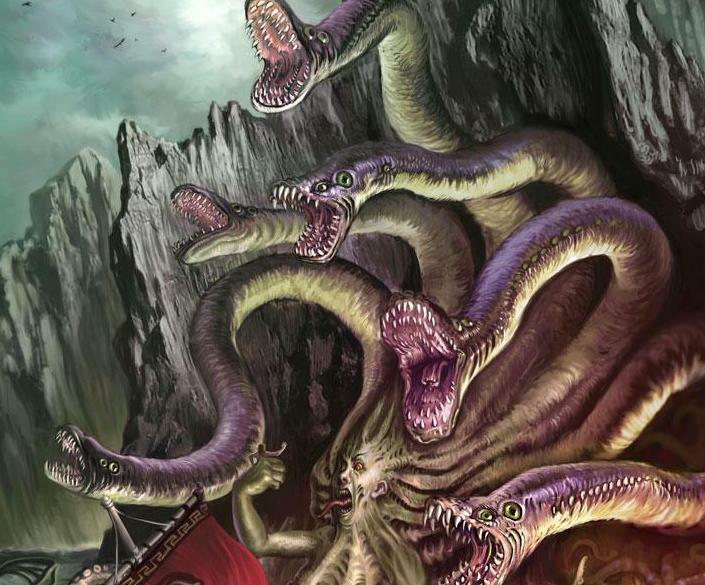 Through my mind passes the desire to send the student past Scylla, the next monster we’re going to read about. The entire class stares at me, dumbfounded. See? I can do it to. Albuquerque. Snorkel. While they, in confusion, try to figure out what I just said, I continue on with the discussion . . . and for my sanity ignore every hand that goes up for the next five minutes. Get Book 1, Forest at the Edge of the World here. Free as a download, $9.25 as a paperback. ← Books? Thinking? Are those “lit”?